Music has often been applied as "healing force" even in the past. The Roman god of medicine Aesculapius was said to cure diseases of the mind using songs and music. Ancient Greek physician Hippocrates played music for his mental patients as early as 400B.C. Music therapy was used for healing in Egyptian temples. Foreign health experts recommend the use of music to deliver positive changes in children's psychological, physical and cognitive development plus in the improvement of the social functioning of children with health or educational conditions. 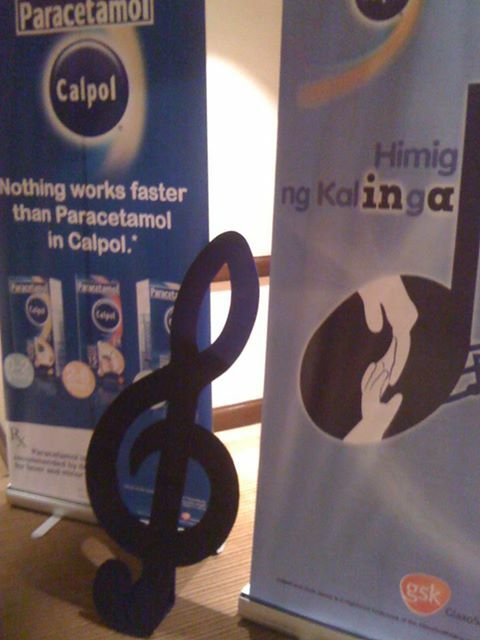 Recognizing the Filipinos' ultimate love for music and the benefits of music in improving health and healing, GlaxoSmithKline Philippines, Inc. (GSK) launched its Himig ng Kalinga program, supported by doctor-recommended Paracetamol (Calpol) in partnership with key hospitals in GMA and Luzon. The program aims to bring familiar nursery rhyme sings to in-hospital pediatric patients that will be performed by program volunteers. 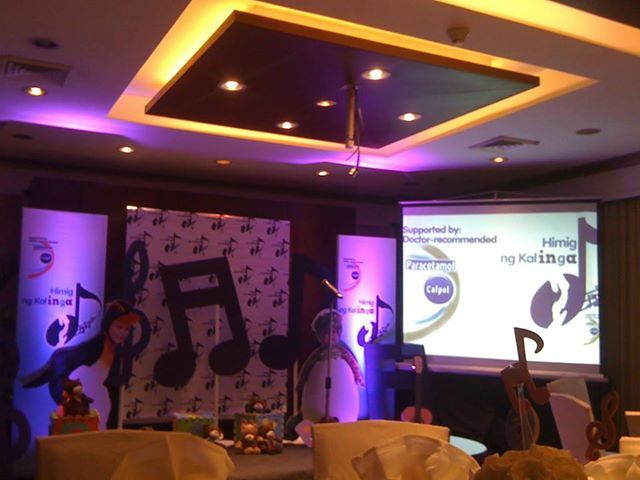 An original song "Gagaling Ka Rin" qas composed by Jimmy Antiporda and this song will be taught to the patients and parents to further uplift the spirits of hospitalized children. GlaxoSmithKline Philippines, Inc. promotes the use of music therapy in hospitals to help pave the way for the holistic wellness of every Filipino child.